PKP2 actor Kartik Aaryan to celebrate Digital Diwali! PKP2 actor Kartik Aaryan to celebrate Digital Diwali! 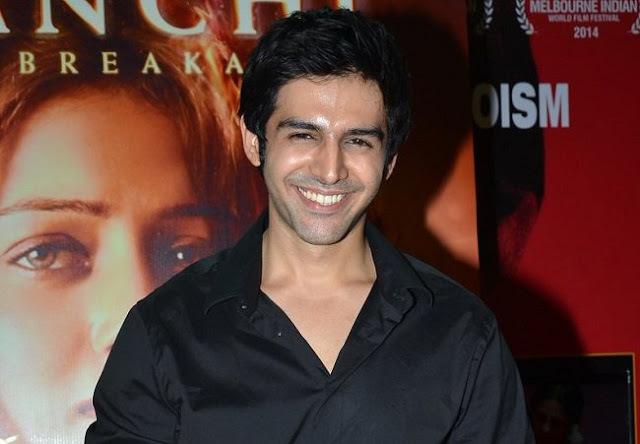 Home > pyaar ka punchnama 2 > PKP2 actor Kartik Aaryan to celebrate Digital Diwali! PKP2 actor Kartik Aaryan to celebrate Digital Diwali! Actor Kartik Aaryan tasted a grand success this year in Luv Ranjan directorial Pyaar Ka Punchnama 2 but this Diwali he won't be able to taste her mother's cooked Gujiya, Chakli, Mathri etc. Actually, unlike every year Kartik won't be able to visit his home town Gwalior, Madhya Pradesh this Diwali. But, he have found a new way to celebrate the Diwali with family. This time Kartik will be celebrating Digital Diwali. PKP2 Actor revealed that, "I am going to do the Diwali puja over video chat this year. My mom will do it at my family house. I will watch it online and do the same here in Mumbai. I was also reminded to buy a gold coin by her as it is auspicious. For Bhai Dooj, I am sending a gift to my sister back home." He also added "Mathri, Gujiya, Chakli...I miss that".